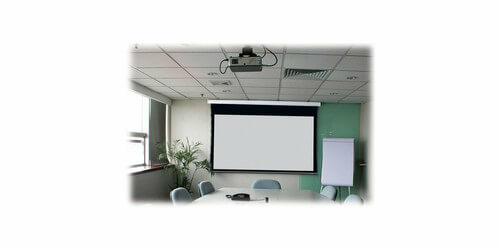 The Stewart Filmscreen 00930-1094D White Cima 94" 16:10 Presentation Format Below Ceiling Electric Projection Screen. 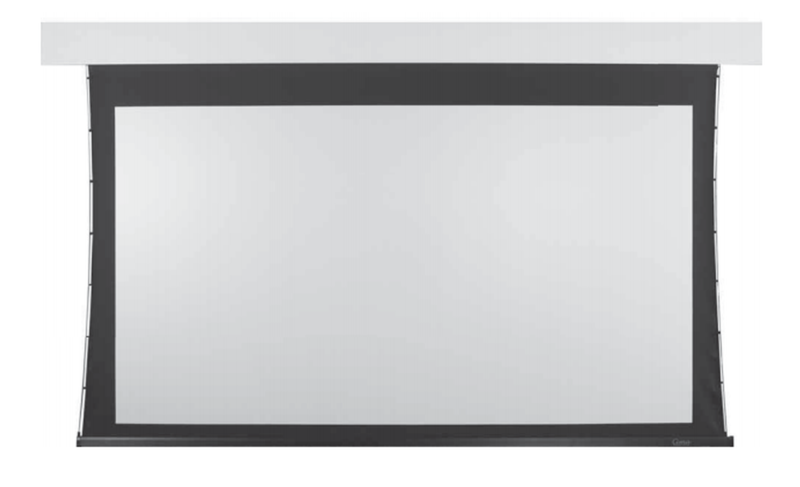 This high-quality industry leading projection screen was designed to be compatible with the latest in next-gen 4k capable projectors to display brilliantly sharp and detailed images in Ultra HD resolutions. 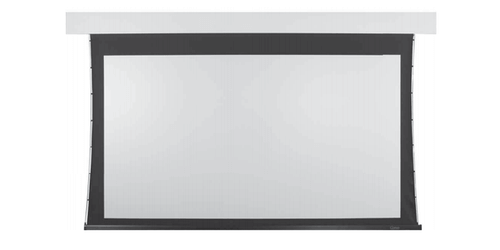 With a 50 x 80" display area and a VeLux frame, users can enjoy images and videos in 16:10 Presentation format. 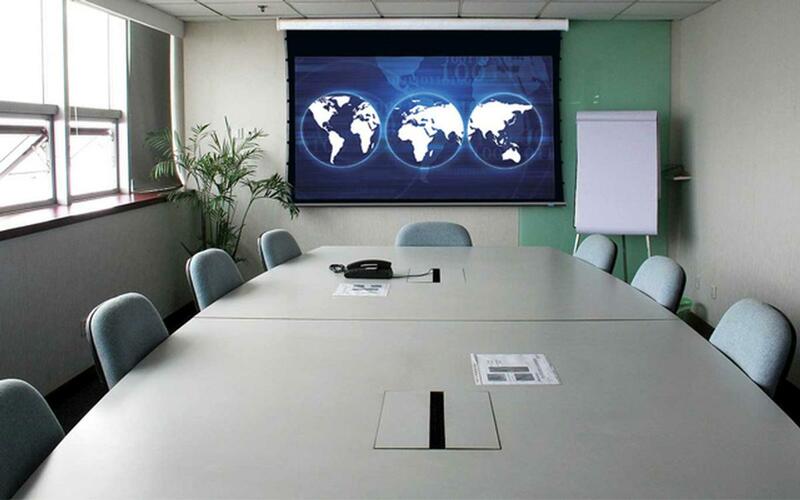 Made using Stewart Filmscreen's Neve material, this projection screen is ideal for use in environments with adequate to good ambient lighting control. The Neve material also features the ability to minimize the appearance of cross-reflection and other potential artifacts at the outer edges of the viewing cone. Furthermore the screen touts a low gain of 1.1, which ensures even light diffusion for uniform reflection over the entire viewing surface. This works by virtually eliminating the concentration of reflective output towards the center, keeping the displayed images uniformly sharp and detailed even at the edges of the displayable area. Additionally this makes the view equally bright from the corner seats as well, in part due to the screens half gain viewing angle of over 80 degrees. The 00930-1094D Below Ceiling Electric Screen is housed in a aluminum 3.25" Roller Tube with Insulated Drive that uses a 120V Screen Motor. Users can conveniently roll down the screen during presentations and neatly roll it up when they are done with a simple push of a button. 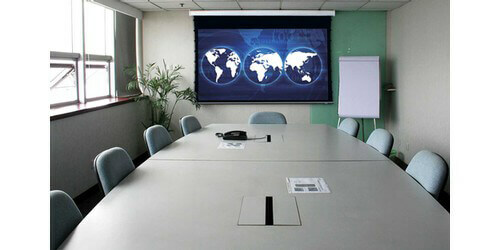 The screen case can be wall mounted using the included wall mounting brackets. Furthermore there is a Tab-Guy tensioning system that maintains consistent material uniformity that helps ensure a smooth and completely flat screen surface, every time the screen is used, no more edge curling! With matte black overscan borders which allow for appropriate masking, the projected image appears to bleed-off the screen for a more professional looking presentation. Moreover, to achieve the desired viewing height of the projected image, the screen also comes with a 6" black drop. The electrical screen case housing features a removable panel door at the bottom for service access of screen material, case electrical components, and drive mechanisms. There is also built-in support for Video Projector Interface Control to raise or lower the screen automatically when projector is turned On of Off, otherwise its standard control is via wall-mounted keypad. 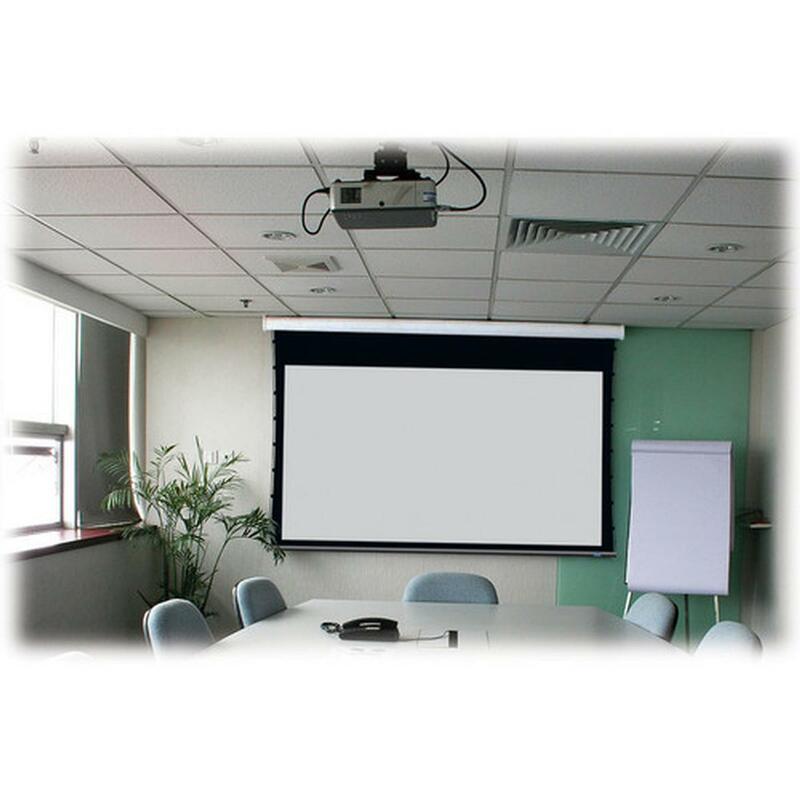 This environment-friendly projection screen is GREENGUARD certified and is made of materials that have low chemical emissions. Equally it is mildew resistant, washable, and flame retardant, with a consistently uniform material, the screen emulates an extremely smooth surface and is amazingly durable. Making this a perfect solution for use in Museums, Galleries, Home Theater type applications, as well as in high-end business/conference rooms, classrooms, and college lecture halls. When needing a high-quality, well made screen for your Pro Audio Visual system, that can handle next-generation 4k capable resolutions projectors, the Cima 94" projection screen from Stewart Filmscreen is an ideal choice. With Neve screen material users will see the perfect balance between the widest possible viewing cone and the best possible viewing conditions. Comes backed by a 1 Year warranty. Not seeing the screen size you need and want a custom size built? Did you know that custom drops can be added to the top or bottom of your screen in either black or white? Let us help you with your custom screen needs! To request a quote for a different configuration please call us at 888-999-3759, click here to email us, or via Live Chat.